Customers of Frielitz Fahrzeugbau und Zubehör GmbH can now use the electronic ordering platform Order (TecOrder) to place their price and availability enquiries and order spare parts online. 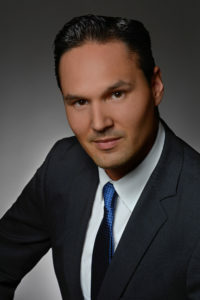 Andreas Heselschwerdt, the general manager of Frielitz, sees the connection to the Order platform as an important step for optimum customer service. “Thanks to the integration of order handling into our merchandise management system, we can now process all our orders faster and more easily – in both our roles, as a parts supplier and as a parts buyer. The optimisation of the processes benefits our customers directly: we save time, which we can use for even better customer service. And since manual intermediate steps and changeovers between different systems are eliminated, the potential for errors is also lower,” explains Heselschwerdt. The wholesaler company is active throughout Germany and its neighbouring countries. The product range includes car trailers and trailer accessories as well as refrigerated vehicles and cargo securing equipment (www.frielitz.de). You can find further information on the Order solution on the TecAlliance Website.